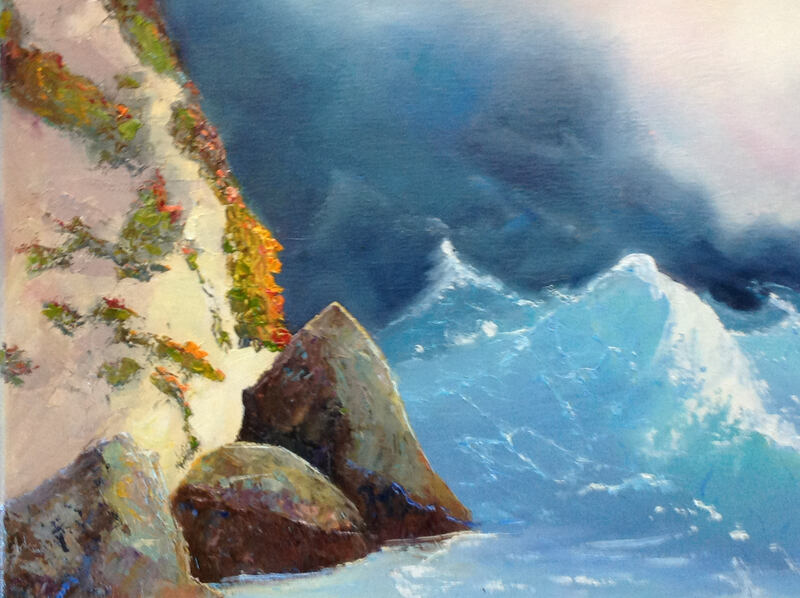 AFTER THE STORM is an original 18" x 24" oil painting. 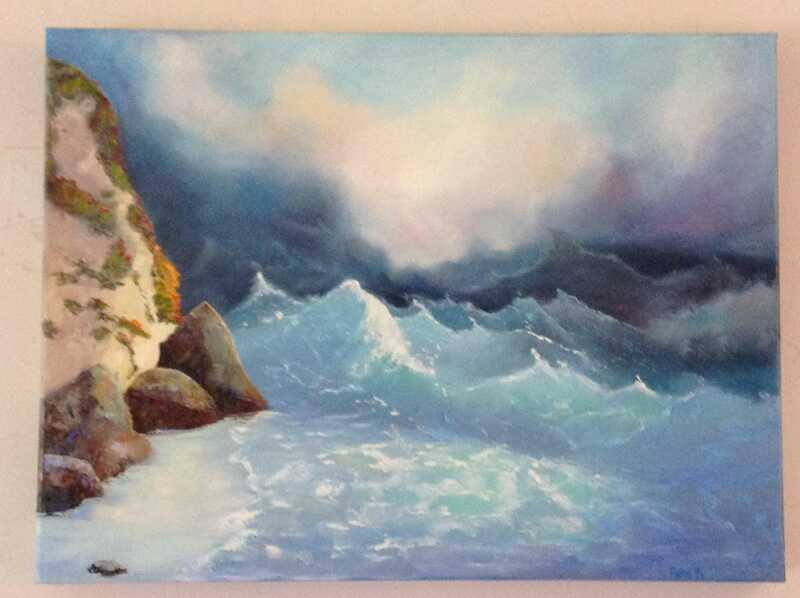 The painting is of a stormy ocean. 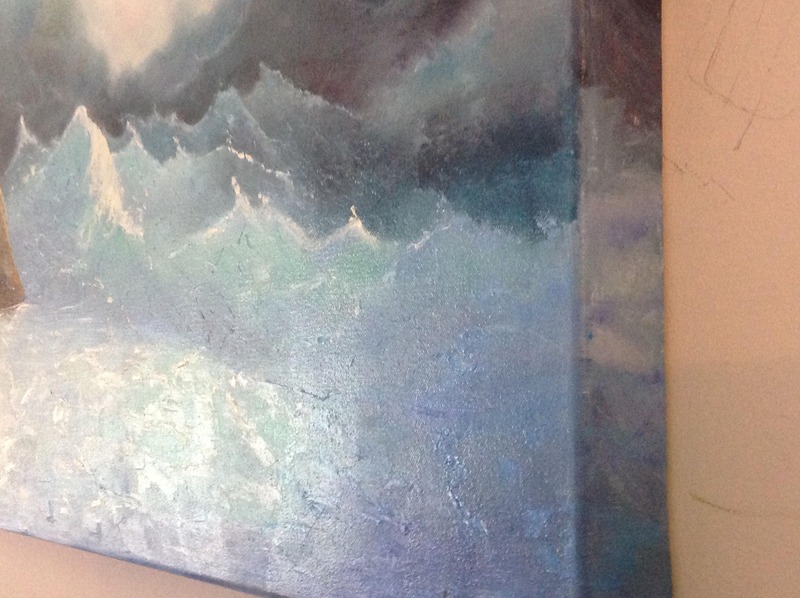 The amazing blues of the ocean waves light up the painting. There is a cliff on the left. The sky colors are a wonderful blend of dark, stormy clouds and the sun beginning to peek out. The cliff has spots where the sun it hitting it, lighting up some of the plants. The distant sea reflects those colors. This is an impressionist painting with bright colors. It will light up a room, especially if other objects pick up the vivid blues and coppers like a pillow or a vase. The edges of the giant rock picks up the sun as it's setting. 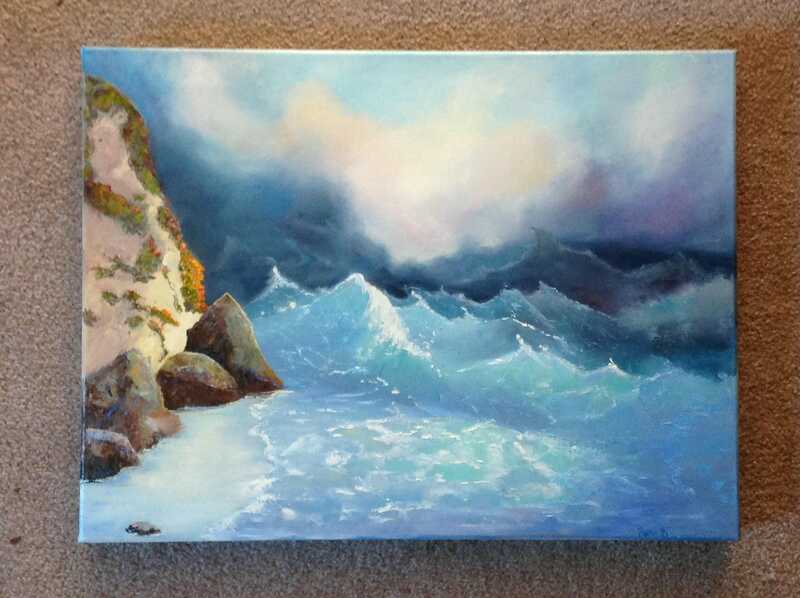 This painting was done on a high quality Gallery wrap canvas. 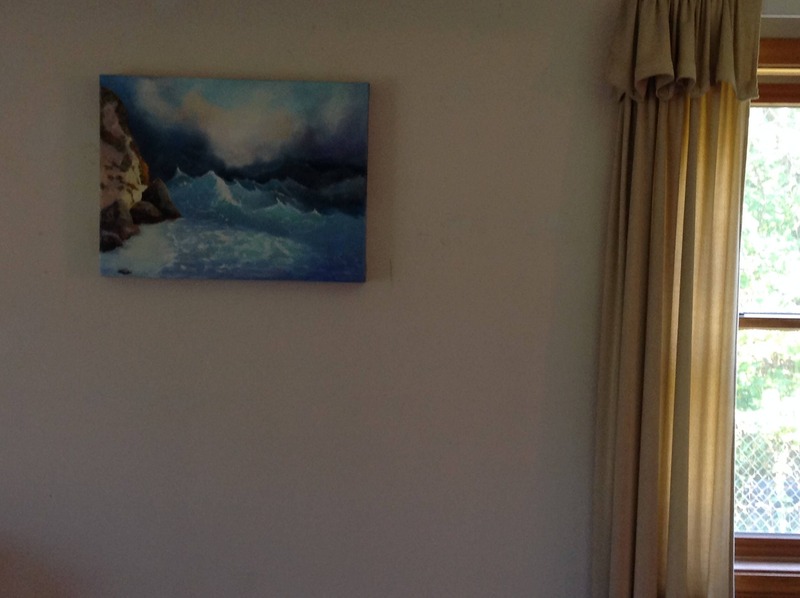 That means the painting extends down over the sides of the canvas, as shown in one of the pictures. 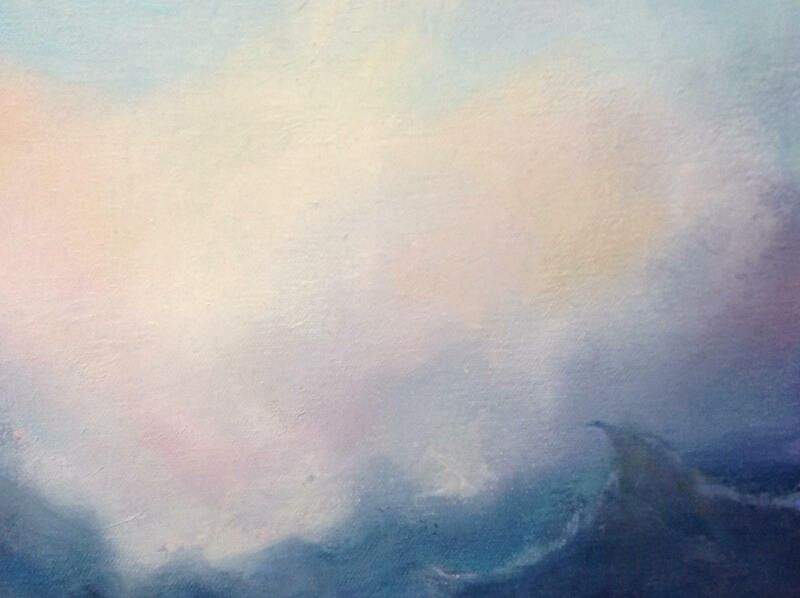 The depth of the canvas is 2" wide. Since it is painted on all sides, the painting does not need to be framed.